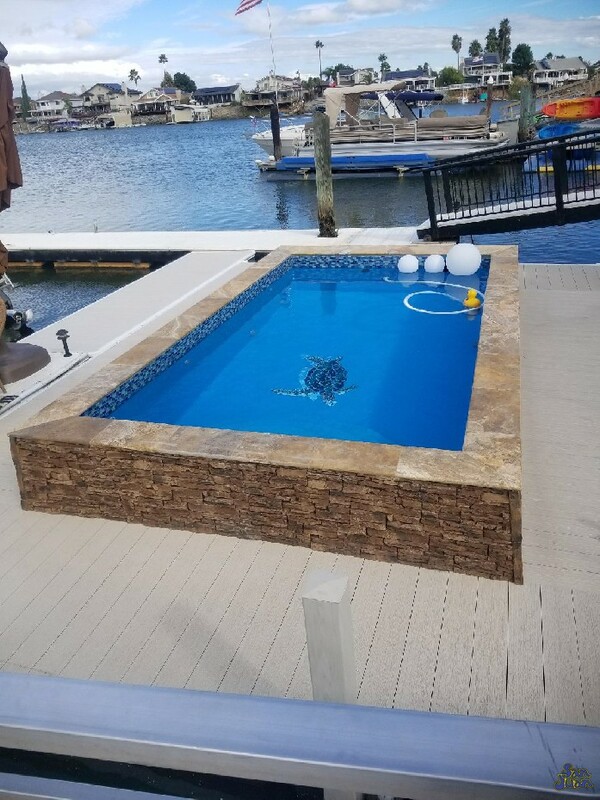 San Juan Pools is constantly striving to be the cutting edge fiberglass pool manufacturer around the globe. We’ve designed some pretty amazing pool shapes, all meant to enhance the quality of your outdoor living space. 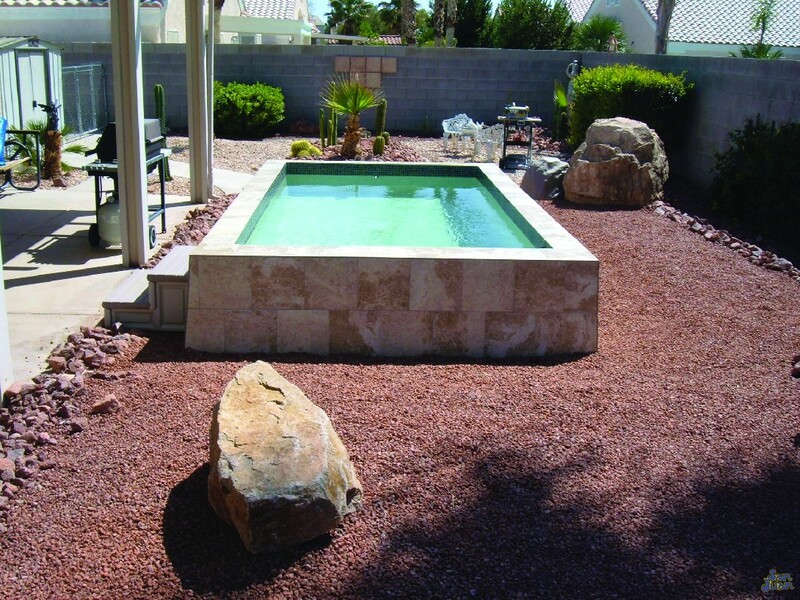 We believe that we’ve done it again with the elegant and very modern, Sedona fiberglass pool. This beautiful pool is constructed out of a double-walled fiberglass pool shell. It’s engineered to be installed above ground. This is something truly unique in our industry and it’s a key features that sets our engineering apart from any other manufacturers. Very similar to the Canyon Lake, the Sedona provides a rectangular layout with a flat bottom design. It’s small size of only 2,750 Gallons ensures that maintaining this swimming pool is a breeze. Secondly, if you’re looking to extend your swim season by investing in a pool heater, the Sedona is a great pairing. By adding some heated water to the Sedona, you’ll be able to enjoy this elegant pool shape for an extended swim season. Elegant doesn’t even begin to describe the beauty of the Sedona. 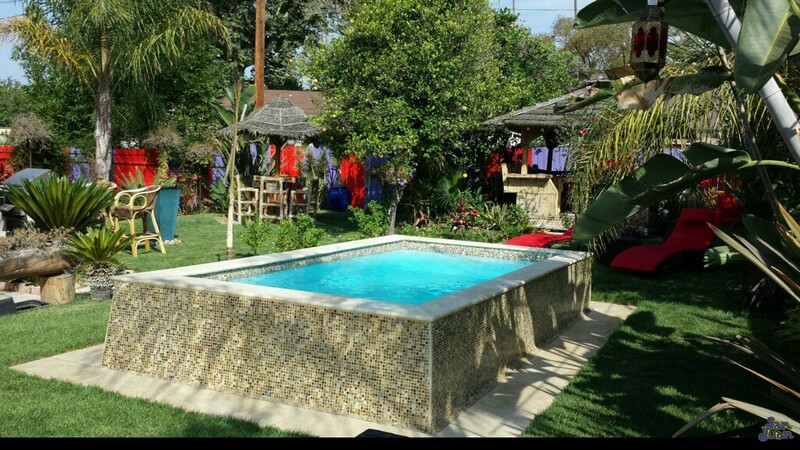 This pool shape is what we consider to be a “custom” model. We manufacture and sell the Sedona as just one SKU. However, you have the option to customize the outside finish with whatever material you choose. This is a fantastic selling feature and something that really excites our home owners. Feel free to adorn the Sedona with some stylish tile or natural stone. You’re free to create a unique design piece for your backyard. You’ll be the talk of the neighborhood with this eye-catching center piece! Taking a closer look, we’d like to point out the Flat Bottom design of the Sedona. By providing a flat bottom layout and raised platform, we’ve created access points from all around this swimming pool. This is a great feature that makes entry and exit into this swimming pool a breeze. Lastly, if you’d prefer to enter from a classic set of steps, we’ve included a convenient set of corner entry steps in one corner. 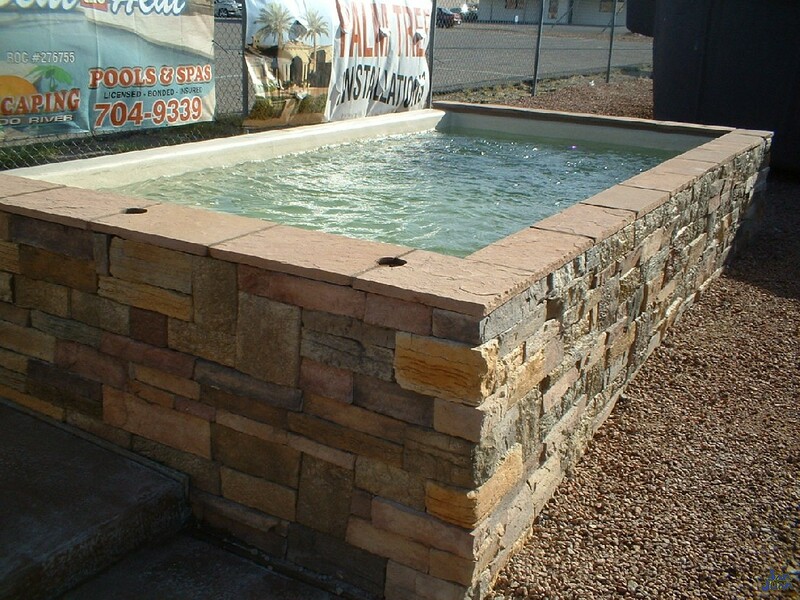 In conclusion, the Sedona is a fabulous and modern fiberglass pool design. Built to impress and be unique, this fiberglass pool is bound to raise some eyebrows. 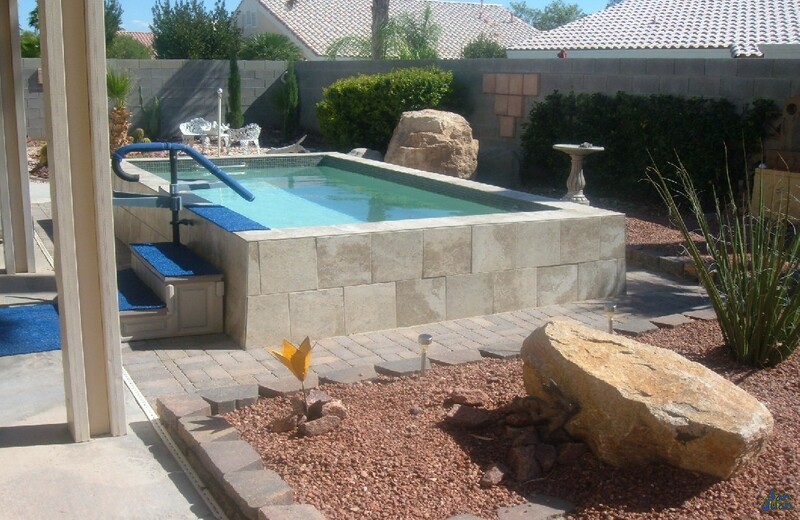 Designed for customization, you’ll love being able to add your finishing touches on this pool for your own backyard.